For Part Two Click Here. For part three. I find it curious that modern medicine continues to argue within itself on the proper reference range for the TSH test (Thyroid Stimulating Hormone) commonly used to assess thyroid function. .This TSH test and reference range is the subject of continuous debate and even changing ranges throughout the history of medicine. 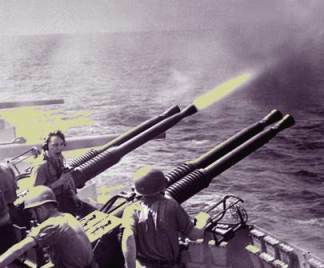 Above Left Image: 40mm guns firing aboard the U.S. aircraft carrier USS Hornet (CV-12) on 16 February 1945. TSH Wars. 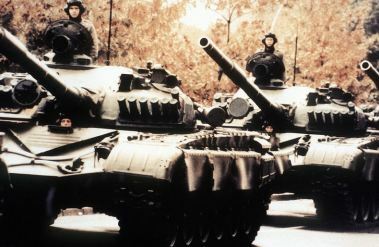 Above left image: TSH Wars with Tank convoy of Soviet T-72 battle tanks. Courtesy of .wikimedia. Another eye opener: When 30 labs were surveyed, They found that 30% used the manufacturer recommended ranges, 10% used their own and 60 % used an “adapted” range. Most of the 30 labs used differing reference ranges with the upper range varying from 3.8 to 6.0. There was no single reference range in use. (10) In addition, of 9 different manufacturers of TSH test kits used by the labs, they all had differing reference ranges. Above Left Image: 40mm guns firing aboard the U.S. aircraft carrier USS Hornet (CV-12) on 16 February 1945, as the planes of Task Force 58 were raiding Tokyo. Note expended shells and ready-service ammunition at right. 16 February 1945. Courtesy wikimedia commons. 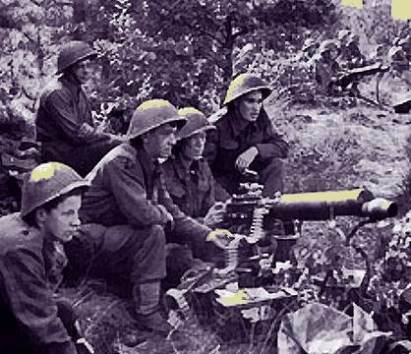 Above left image: Vickers machine-guns of 2nd Middlesex Regiment, 3rd Division, 20 September 1944. Courtesy of WIkimedia. Carole Spencer MD PHD – How should the TSH reference range be determined? Treating Patients with Labs Within Normal Range ?? One problem is that TSH ranges tend to shift up with age. (4) Older individuals run higher TSH values and this may be “normal” based on gaussian distribution of lab values for the population. 1) abnormalities in hypothalamic or pituitary function, including TSH-producing pituitary tumors. 2) transition periods such as early phase of treatment for hypothyroidism, Specifically, it takes 6-12 weeks for pituitary TSH secretion to re-equilibrate to the new thyroid hormone status. 3) Following an episode of thyroiditis, including post-partum thyroiditis when discordant TSH and FT4 values may also be encountered. This is Part One of a Series. For Part Two, Click Here. Laboratory medicine practice guidelines. Laboratory support for the diagnosis and monitoring of thyroid disease. Baloch Z, Carayon P, Conte-Devolx B, Demers LM, Feldt-Rasmussen U, Henry JF, LiVosli VA, Niccoli-Sire P, John R, Ruf J, Smyth PP, Spencer CA, Stockigt JR; Guidelines Committee, National Academy of Clinical Biochemistry. Source Department of Pathology & Laboratory Medicine, University of Pennsylvania Medical Center, Philadelphia, USA. Why was the upper limit for TSH set at 2.5 μU/mL in the first place? A national guideline published in 2003 recommended lowering the upper limit of TSH to 2.5 μU/mL (NACB in Thyroid. 2003 Jan;13(1):3-126). Based on a population study, this was felt to be the true upper limit for euthyroid individuals after rigorous exclusion of all patients with possible thyroid dysfunction. Why is the laboratory now raising the upper limit of normal for TSH to 5.0 μU/mL? More recent studies indicate that an upper limit of 2.5 μU/mL for TSH is too low. Kratzsch et al (Clin Chem. 2005 Aug;51(8):1480-6) showed that after rigorously excluding all patients with possible thyroid dysfunction, a normal range for TSH was 0.12-5.29 μU/mL. Massachusetts General Hospital uses a range of 0.5-4.7 μU/mL (New England Journal of Medicine 2004;351:1548-63) and Mayo Clinic uses a range of 0.3-5.0 μU/mL. Parallel tests of patient specimens at Allina and Mayo Clinic show the same TSH results and a recent reference range validation performed at AML indicates that the normal range for our population is consistent with the one used at Mayo Clinic. 5. TSH Reference Intervals In the literature, discussion is ongoing as to the appropriate TSH reference range; some laboratories report a lower value for the upper limit of normal (between 2.5‐3.0 mU/L). Ontario community laboratories have elected to continue to report the higher upper limit of normal (4.5 to 5.5 mU/L). The OAML Quality Assurance Committee and its Expert Panel on thyroid disease will update the reference range when there is evidence‐based literature supporting such a change. Results: Without thyroid disease, 10.6% of 20- to 29-yr-olds had TSH greater than 2.5 mIU/liter, increasing to 40% in the 80+ group, 14.5% of whom had TSH greater than 4.5 mIU/liter. When TSH was greater than 4.5 mIU/liter, the percentage with antibodies was 67.4% (age 40–49 yr) and progressively decreased to 40.5% in the 80+ group. TSH frequency distribution curves of the 80+ group with or without antibodies was displaced to higher TSH, including TSH at peak frequency. The 97.5 centiles for the 20–29 and 80+ groups were 3.56 and 7.49 mIU/liter, respectively. Seventy percent of older patients with TSH greater than 4.5 mIU/liter were within their age-specific reference range. Conclusion: TSH distribution progressively shifts toward higher concentrations with age. The prevalence of SCH may be significantly overestimated unless an age-specific range for TSH is used. Laboratory Support for the Diagnosis and Monitoring of Thyroid Disease. It is important to recognize the clinical situations where serum TSH or FT4 levels may be diagnostically misleading (see Table 1). These include abnormalities in hypothalamic or pituitary function, including TSH-producing pituitary tumors (27-29). Also, as shown in Figure 2, serum TSH values are diagnostically misleading during transition periods of unstable thyroid status, such as occurs in the early phase of treating hyper- or hypothyroidism or changing the dose of L-T4. 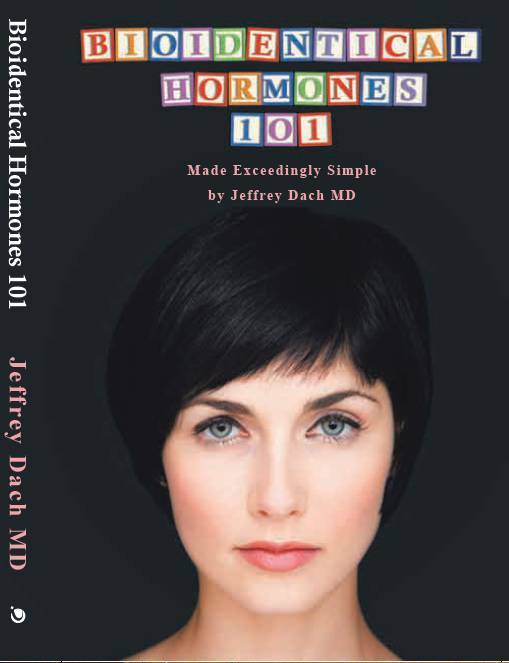 Specifically, it takes 6-12 weeks for pituitary TSH secretion to re-equilibrate to the new thyroid hormone status (30). These periods of unstable thyroid status may also occur following an episode of thyroiditis, including post-partum thyroiditis when discordant TSH and FT4 values may also be encountered. Drugs that influence pituitary TSH secretion (i.e. dopamine and glucocorticoids) or thyroid hormone binding to plasma proteins, may also cause discordant TSH values [Section-3 B3(c)vi]. About.com Guide Updated June 19, 2006 3. If your TSH test levels come in below 0.5, or above 2.5-3.0, and your doctor is saying these levels are normal, make him or her aware of the AACE and American Association for Clinical Chemistry Laboratory Medicine Practice Guidelines and their 0.3 to 3.0 new reference range. Ask the doctor if he or she will consider a different diagnosis and treatment based on this new information. The Evidence for a Narrower Thyrotropin Reference Range Is Compelling Leonard Wartofsky and Richard A Dickey Endocrinology & Metabolism September 1, 2005 vol. 90 no. 9 5483-5488 Drs. How should the TSH reference range be determined? It is impossible to establish a range using population data. The TSH upper reference limit is really a moving target. It depends upon the population being studied, the underlying pathology and iodine intake of that population, as well as the specificity of the assay for detecting the various TSH isoforms present in sera. Its essential to ensure that individuals with any degree of thyroid dysfunction are excluded from reference range calculations. However, there are some individuals that are TPOAb-negative and yet have thyroid dysfunction. The inclusion of such individuals has the potential to skew the TSH reference limits to some extent. Carole Spencer, MD, PhD Carole Spencer Surks and Hollowell reported that the TSH reference range increased with age and concluded that perhaps a higher TSH is a natural consequence of aging. We interpret this finding differently. It is well known that in the United States the prevalence of autoimmune thyroid disease increases with age and not all affected individuals display TPOAb. In the SHIP study, there was a trend for a decrease in TSH with age, despite excluding individuals with nodules visible on ultrasound. Both the NHANES and SHIP studies did their best to screen out occult thyroid dysfunction yet opposite trends in TSH were seen with aging. These trends are less likely to be the physiological effect of aging, but more likely the influence of occult thyroid pathology specific to that population contaminating the data and causing these age-related shifts in TSH. It is not possible to establish a universal TSH upper limit from population data. An appropriate compromise would be to adopt an empiric TSH reference range approximating 0.3 to 3 mIU/L, as suggested by AACE. It is important to recognize that the upper TSH reference limit is not the therapeutic threshold for initiating levothyroxine replacement therapy. Instead, the clinical response to a confirmed mildly elevated TSH should be determined on an individual basis. Carole Spencer, MD, PhD, is a Professor of Research at the Keck School of Medicine at the University of Southern California. Contemporary Issues in Thyroid Disease Measurements excellent review of varying TSH upper ranges for various labs, and societies based on iodine intake, ethnicity and age. Dr. Carole Spencer received a 1st. Class Bachelor of Science degree in Applied Biochemistry from Bath University of Technology in England, U.K., and later a PhD from the Department of Medicine at Glasgow University, Scotland, U.K. In 1977, she immigrated to the United States and joined the University of Southern California in Los Angeles. Dr. Spencer holds the rank of Professor of Medicine in the Department of Medicine at USC, where she is a licensed Medical Technologist, and directs the USC Endocrine Laboratories. Her research career has focused on the clinical and laboratory aspects of thyroid disease and treatment, and she has authored or co-authored more than 80 original papers, chapters and monographs on the clinical and laboratory aspects of thyroidology. Dr. Spencer is a past President of the American Thyroid Association and a member of the ATA Laboratory Services Committee. She is the recipient of numerous outstanding speaker awards from the American Association for Clinical Chemistry, and she received the 2004 Distinguished Scientist Award from the National Academy of Clinical Biochemistry. The use of “natural” thyroid in patients whose TSH levels for example are not yet over 5.5 has stimulated controversial cases where the treating physician has been dragged into court to explain why a thyroid supplement was administered to a patient who is not yet sick? Several, often recent, studies have now been published that show that levels of TSH within the reference range, between 2 and 5.5, in certain categories of patients have been reported to be associated with pathological abnormalities and even diseases. It is therefore to no surprise that the American Association of Clinical Endocrinologists has therefore narrowed in 2002 the serum TSH reference range to 0.3-3.0 mIU/L, lowering the upper reference end to 3. The National Academy of Clinical Biochemistry, the world’s most respectful organisation for editing guidelines on laboratory test interpretation, reduced the upper end of the reference range from 5.5 to 4.1 mIU per liter in 2003. The latter group also stated that “more than 95% of healthy, euthyroid subjects have a serum TSH between 0.4 – 2.5 mIU per liter” and that “patients with a serum TSH above 2.5 mIU per liter, when confirmed by repeat TSH measurement made after three to four weeks, may be in the early stages of thyroid failure, especially if thyroid peroxidase antibodies are detected.” In 2003, the consensus panel (Endocrine Society, American Association of Clinical Endocrinologists, and American Thyroid Association) recommended a target TSH range of 1.0 to 1.5 mIU per liter in patients already receiving thyroxine therapy. Source Endocrine Unit, Dept Medical Therapeutics, Alexandra Hospital, Athens University School of Medicine, Athens, Greece. The objective of this study was to evaluate parameters of thyroid function and indices of peripheral thyroid hormone action (such as SHBG) in patients whose hypothyroidism was considered well controlled under current criteria. thus, for the same TSH levels, T3 levels were lower in the hypothyroid group. We conclude that patients with T4-treated hypothyroidism have lower T3 levels, lower T3/T4 ratio and lower SHBG than normal individuals with the same TSH, perhaps indicating relative tissue hypothyroidism in the liver. TSH levels used to monitor substitution, mostly regulated by intracellular T3 in the pituitary, may not be such a good indicator of adequate thyroid hormone action in all tissues. The co-administration of T3 may prove more effective in this respect, provided novel suitable preparations are developed. Until this is accomplished, substitution in hypothyroidism should aim at low normal TSH, to ensure normal T3 levels. Which lab tests are best when you suspect hypothyroidism?